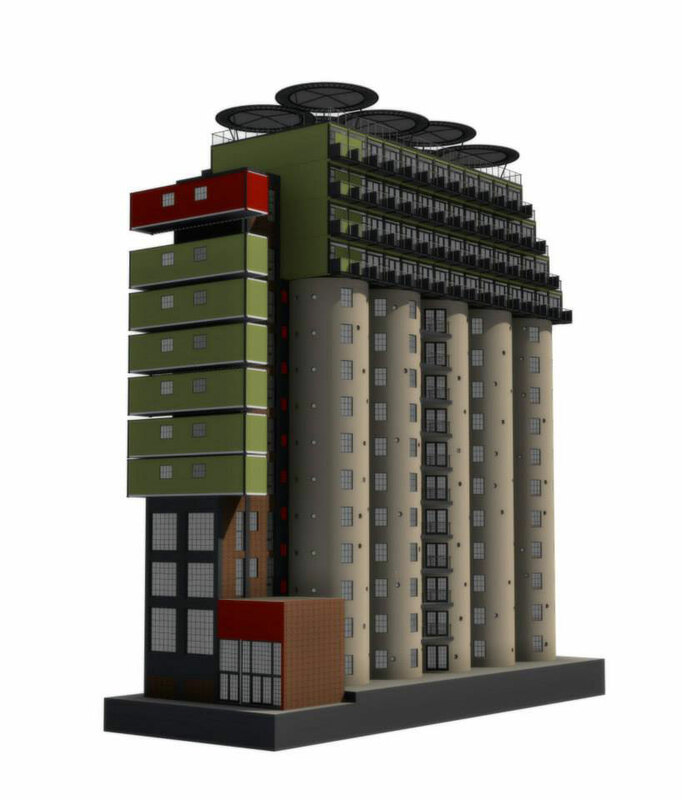 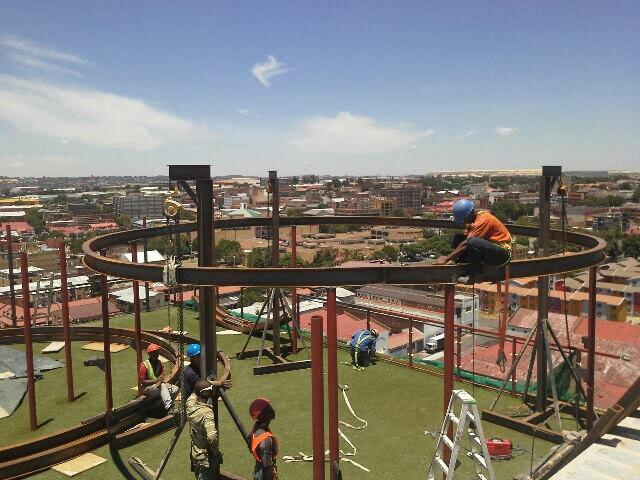 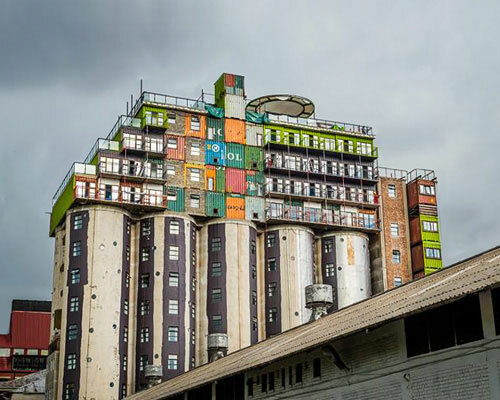 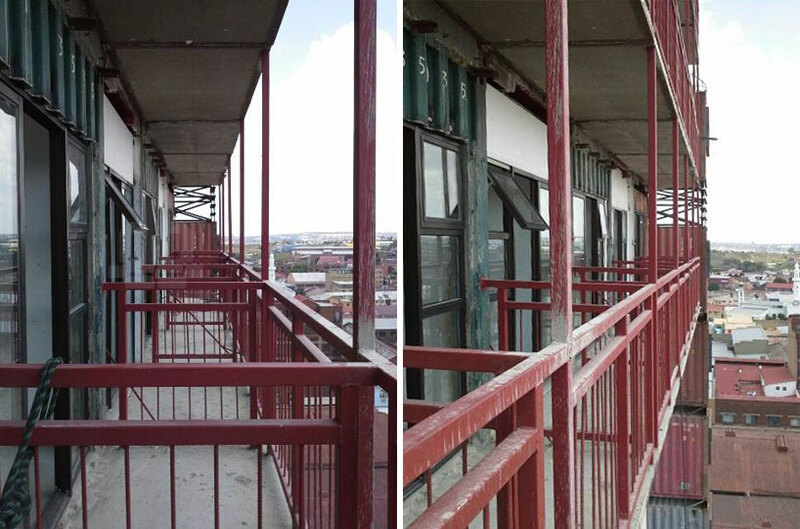 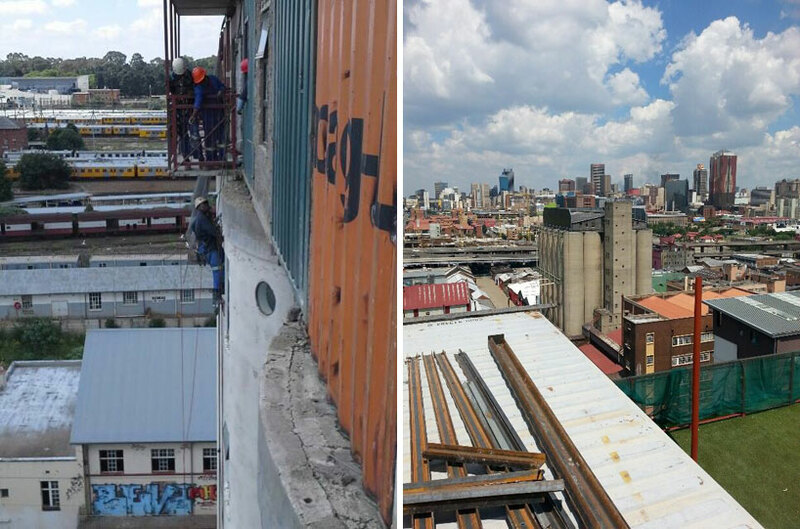 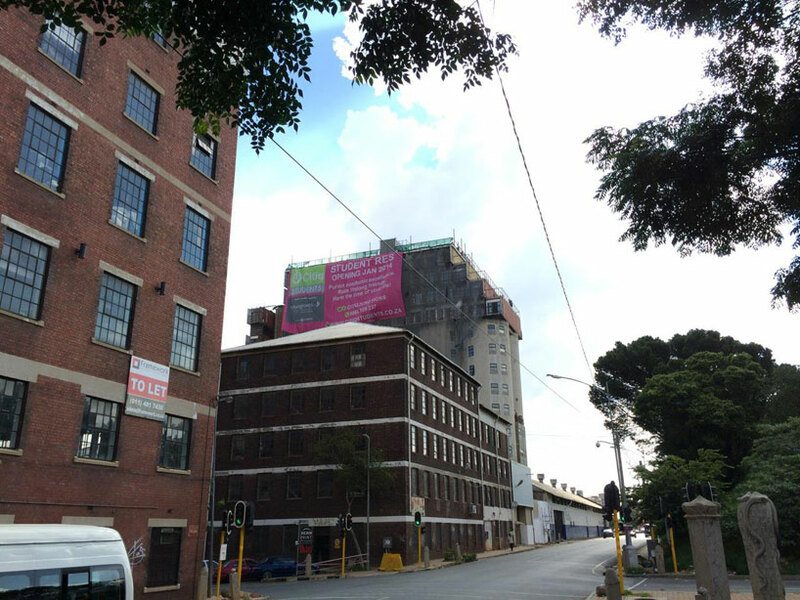 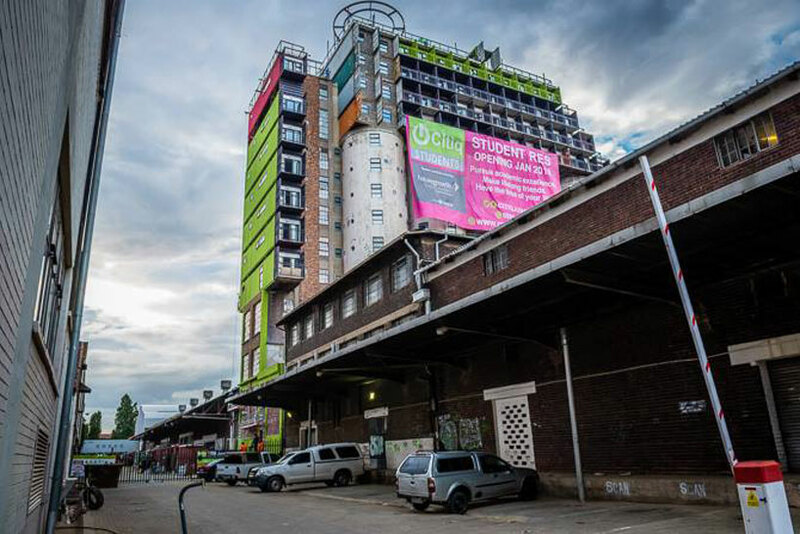 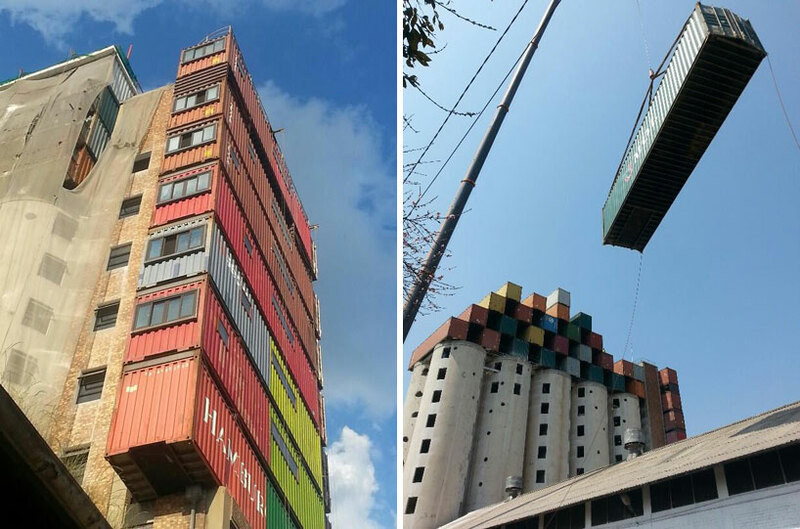 addressing the shortage of student accommodation within johannesburg, property developers citiq has converted the city’s unused grain silos into affordable student accommodation. 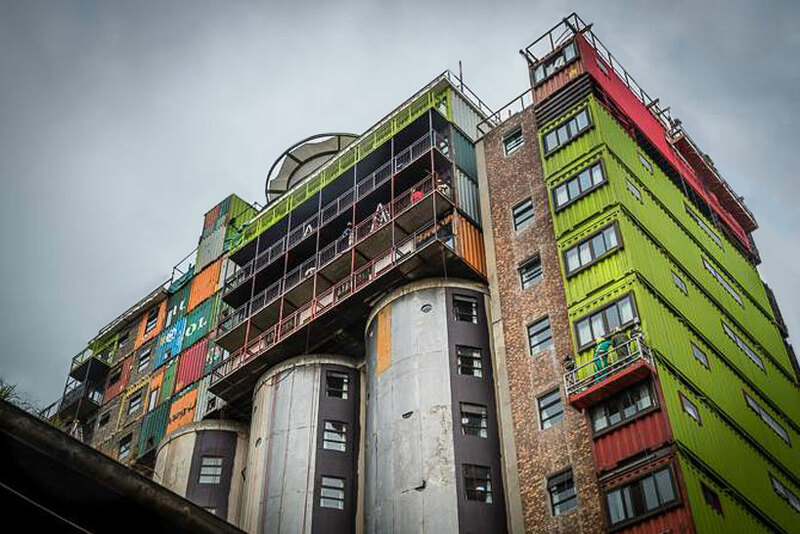 ‘mill junction’ comprises 375 individual apartments, in addition to a host of study facilities, libraries, lounges and computer rooms. 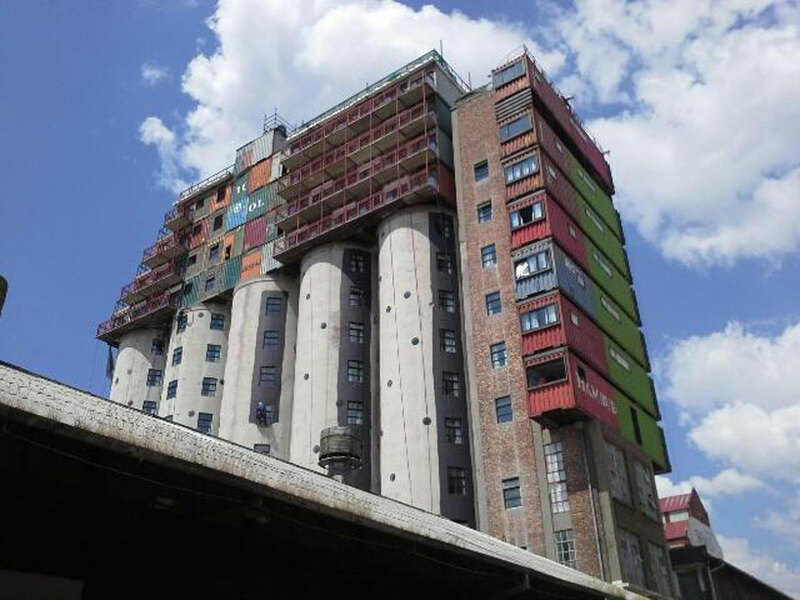 in order to provide additional floor space, a series of stacked shipping containers encompass the 11-storey silos, providing a vibrant and colorful addition the city’s skyline. 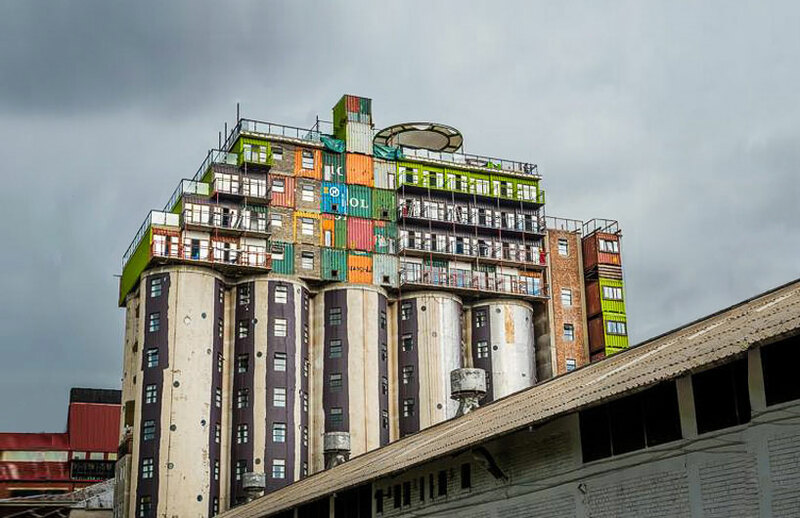 climbing to a height of nearly forty meters, the scheme towers above neighboring buildings – offering panoramic views across the surrounding landscape. 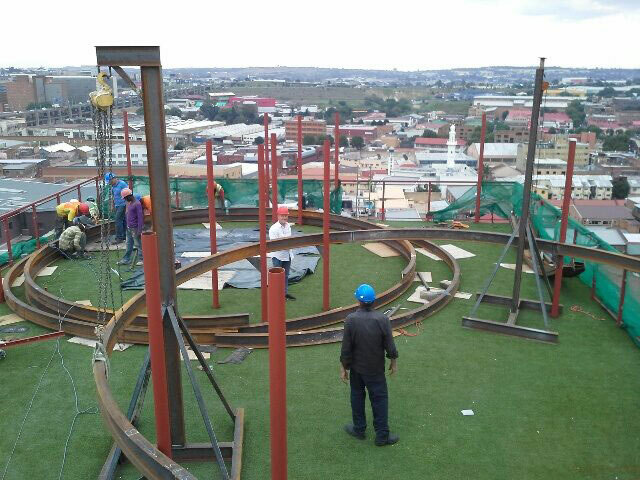 construction on-site was completed in january 2014, with the building set to open in its doors to new students the following february.